I love chickens. Just the sight of them makes me smile. Even when I haven't been able to keep some as pets, I have enjoyed seeing them in art, on farms, on salt shakers, and tea towels. This blog is Chickenblog, because when I started blogging I wasn't all too sure what blogging was all about, but I just got my first chickens and they were about all I could think about! 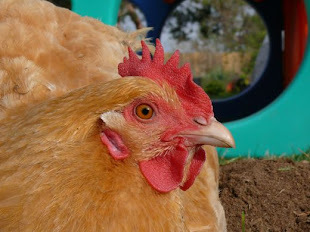 So, the blog name is part self-descriptive, part actual chickens! 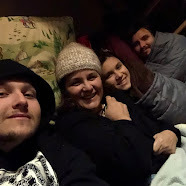 Now it's been many years that we have, off and on, kept chickens, and maybe I've gotten enough experience that I am actually in a position to offer advice, to counsel, and to strongly suggest. 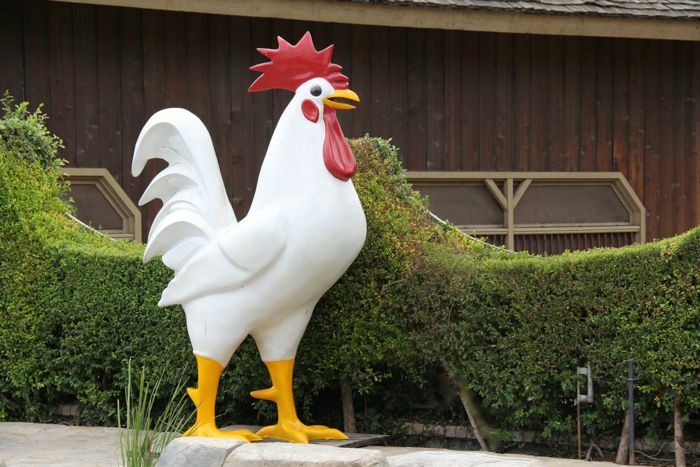 Today, I am here to strongly suggest to all my chicken keeping friends that they consider taking some steps to protect their chickens from predators. This is serious business. And I hope that our lessons, hard learned, some, will save you losses and heartache in your backyard flock. Chicken keeping has become a mania! It's the hobby du jour, and I can't blame anyone for wanting to jump on the farm wagon. 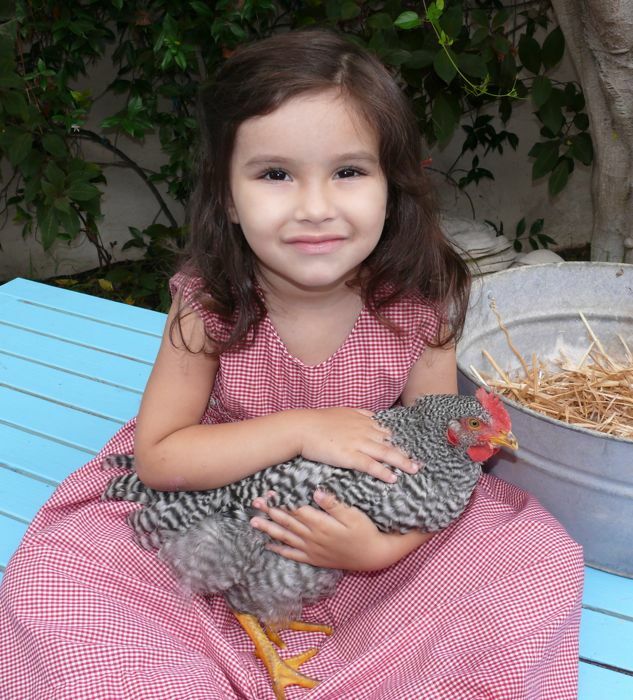 Chicken raising is fun and easy! You will see this sentiment expressed all over, in book titles, blogposts, and it is true, but it's not the whole story. I think it's only fair to the farmer and the chicks to add some addendum's to the "fun and easy" statement: Chicken raising is fun, when you have time, interest, and resources. Chicken raising is easy, when you are prepared. Let's say you brought home your chicks, and you kept them happy under their heat lamp, and you guarded their safety throughout their youth, and now! Now, at last, you have big fat hens, and they're laying, and life is beautiful... but if you haven't done this before, if you only skimmed through a book, or glanced wistfully at some pastoral farm scene on a postcard, please go through our checklist, and double check that your dear hens, your backyard flock, are as safe as can be. Predators are lurking. I am particularly addressing friends in Southern California, because a surprising number of people forget that we have: Bobcats, Coyotes, Raccoons, Hawks, Feral Cats, Skunks, and Weasels. We have encountered all of these, and we have suffered losses to some of these. These predators love chicken (and cats, bunnies, ducks, dogs etc...) They are smart. They are persistent. They will, sooner or later, find your darling coop and kill your chickens. You will sleep better at night if you take some precautions. For a long time we were lucky. We kept hens, and had no problems, whatever precautions we took were sufficient and, so naturally, I patted myself on the back and assumed I had it all figured out. But then we lost a rooster, and it was devastating. I loved him, and I felt like I had let him down. Unfortunately, I failed to comprehend that as "secure" as I believed our chicken housing was, it was inadequate, and the bobcat that killed Zoltar came back for Kamen. This time Alex and Max witnessed the bobcat with his arm in the cage, pulling her through the bars. We called the horse fence wire cage the "shark cage," and it seemed impenetrable, but spaces were plenty big enough for a hungry bobcat, and wily weasels. 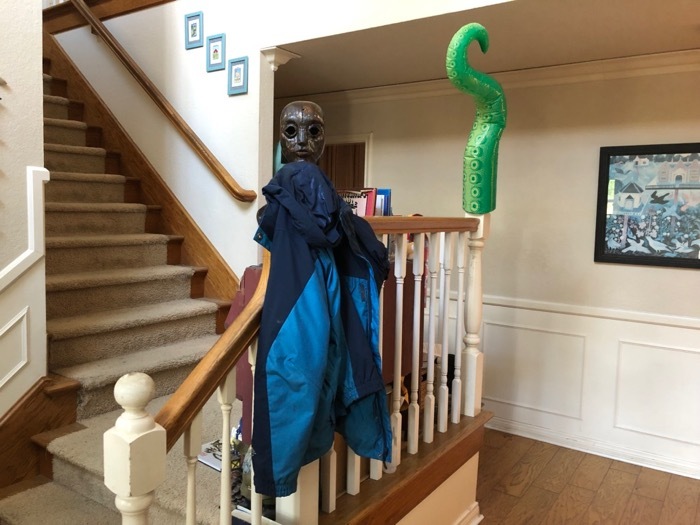 Weasels were responsible the next losses (please, follow this link to see pictures of the shark cage and to appreciate how ineffective that chicken housing was.) Yes, there are weasels in Southern California, together with raccoons, they have no trouble at all getting through or opening up chicken wire. Okay. So, we've seen it all, and we've learned the hard way. Some of those predators really took us by surprise, and I appreciate that there will always be a chance of losing pets to predators, but I feel a whole lot better doing as much as I can to protect them. We all sleep better at night, since we've built our enclosure. It's our pride and joy, and I won't deny it cost a lot in time, and materials. It houses goats and chickens, and it's wonderful, but I understand it's not always possible to make a chicken Shangri-la. That's okay... there are still steps we can take to make our hens comfortable, safe, healthy, and happy. 1. Shade, wind cover, rain cover. Don't let your hens overheat, or get blown away. They need protection, even here where we have mostly mild weather. Be sure they can dust bathe in a shady and dry place, and that when they go to roost they will be safe from rain and wind. 2. Roosts. Hens roost. 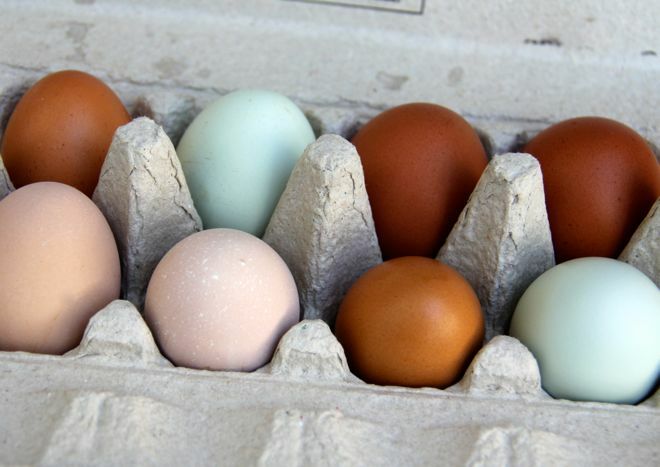 It's good for their feet and posture, it's what they do in the wild, and it's what happy hens do in their coop. I think HenCam is a wonderful resource on all matters Chicken, and Goats! 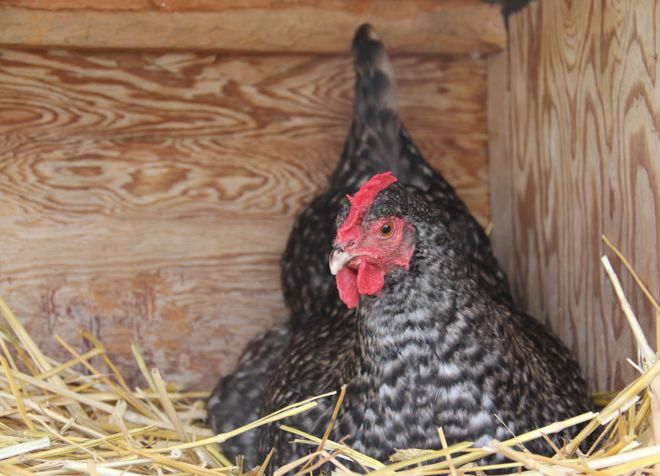 HenCam suggests giving your hens at least six inches of space, per chicken, on the roost. And remember to keep those roosts sheltered from sun, wind, and rain. 4. Wire. This is the part that is easy blow it on. We did. Chicken wire is cute, it's chicken wire, and looks like the ideal choice, but it is a poor choice. Chicken wire has an opening large enough for rats and small weasels to enter. Rats can harass hens and kill chicks, and they will ruin your feed, and water. Weasels eat chickens. 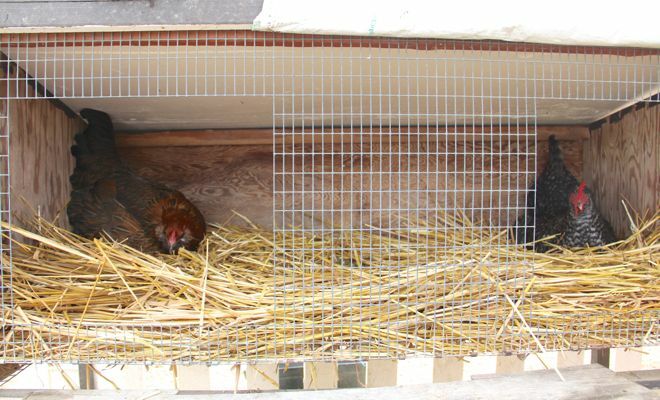 So, unless you have an enclosed coop in a chicken run, and the coop is solid, with no openings, except the doors you open and shut, and screened windows, do not use chicken wire to keep chickens in and predators out. Your wire should be 1" x 1/2" welded hardware cloth. Period. No gaps. No gapes. We attached our hardware cloth to posts with a staple gun. And if you can, consider burying the wire at least 12", maybe 18" down, because predators dig. Another option is to create a deep path of heavy stones or pavers around the perimeter of the shelter, to discourage digging under. When we kept hens in our Ikea picnic table, I used two layers of chicken wire, making them overlap to create smaller openings. This was a bit of work, but easier to do on a small coop. 5. Close the coop! If it's easy to remember, then it's easy to forget. I have left many coops open over night, and thankfully those were nights we escaped predation, but it leaves me feeling awful to discover that I forgot to close up the chickens, safe for the night! Now, I have my mobile phone set with an alarm, and I change it when the sun sets earlier in winter. Every evening, just before dusk, the alarm on my computer and my phone alerts me, and I am reminded to count chickens, check feed, and close up for the night. We also have a locking device on the latch. I like to use carabiners to secure the latch on our run. Use good hardware, and imagine you are trying to outwit burglars. Raccoons are crazy clever and dexterous... they will open simple latches with uncanny ease. 6. Free-ranging... it's some of the best parts of keeping chickens. 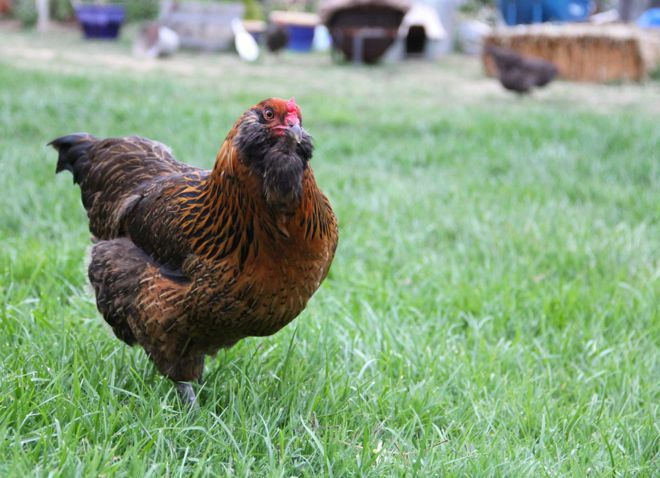 I love to let our hens out, to see them dash across the lawn, and settle in for a spastic, euphoric dustbath. We cannot make our safeguards 100% foolproof, and when they are free-ranging they are vulnerable, so this is an activity we take with an understanding that it is risky. I lost a favorite hen to a hawk, and we were in the yard at the time. Be sure your hens have places to duck and cover when they are loose. 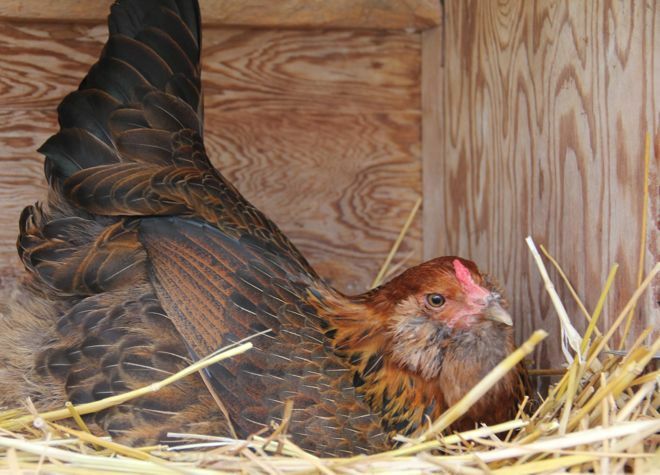 Shrubs are good, a wood crate, even a picnic table will give your hens a place to escape. Besides the hawks, we have had bobcat visits in broad daylight. The bobcats are strong and brazen, and we've seen them hang out even after we chase them off, so it's not enough to just give them a scare. Our hens are eager to return to their enclosure when the bobcat has been around. These days I only let the hens free-range when I am home, and preferably when people are in the yard. So, when I am weeding, or planting, when we can sit and read, or do homework, when outdoor projects are going on, the chickens are out, too. Also, the hens have the goats, Tasha and Ada, for company. I'm not saying our goats are fearless defenders, but they do make a lot of noise and get quite scandalous when something is amiss, so that much is a big help! 7. One more thing... I always talk about my big fat hens, but that's just an aesthetic amusement. Fat-overweight hens are not really easy to detect, but they are easily susceptible to fatal health problems when they are overweight. Again, HenCam has a great post on feeding chickens. A really important thing to know is that treats, like scratch and corn, are just that, treats. I only use scratch, and very sparingly, to call my hens in when I want them to come before they are ready... as a bribe, in other words. In winter, if we are getting cold-cold days, I give them a little more. But if you are feeding your chickens a scratch mix, if it has lots of corn pieces in it: Stop! Yes, they love it, but it fattens them, slows their metabolism, and compromise their health. Chickens don't show that they are overweight in the same ways other pets do, but please believe me, they need a healthy diet, including fresh greens, and even bugs, and a balanced, organic lay crumble for a staple, and the cracked corn and scratch as their special treat. We love our chickens. And it feels good to do our best for them. Of course, there are many more things to know about raising chickens, caring for them, but I am eager to share these specific safety points, as the bobcats have been on the hunt in our area. I know I am still learning new things, running into new problems, and it is always a relief to find more information and advice. 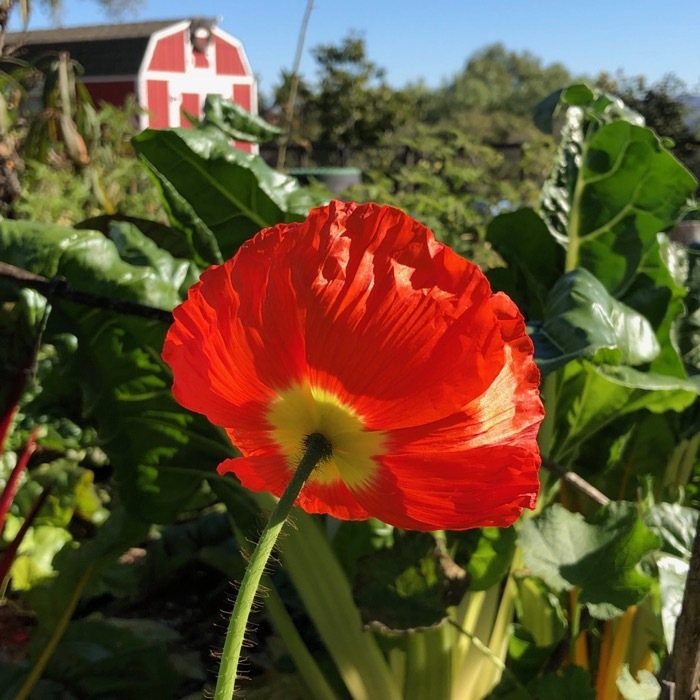 I hope this post is informative, and brings safety to more chickens, and peace of mind to more of my farming friends. You are so great! What an informative, helpful and interesting read (even for us non-chicken owners). The incidents with the bobcats has me on alert for our Pomhuahua, Chibi. Bobcats have a range of 6 miles (for females) and up to 60 (for males)... so they are easily a safety concern. Our little chain-link fence would be no deterrant between her and a hungry bobcat. Thanks again for sharing all this. You are the best! It's so good of you to share this information, Natalie. I hope many people who keep chickens are helped by this. I don't have chickens, but I do care for a small colony of feral kitties. Thankfully, we haven't experienced predators but I they do need extra protection during our freezing winters. Janece, and Judy, thank you. Your comments mean a lot to me, because you are both loving caretakers. Hi, I found this site looking while looking for information on raising backyard chickens. Very informative! I realize now that we'll have to improve our security against predators. Thanks for all the good info.